*Update: Due to some issues this post has been altered a bit. Same project, new creator! I love wire baskets! They are practical (well, the are baskets after all) and give out the exact country/industrial feeling that makes my heart sing. I had no idea it's an easy project to make as well. Jaime of that's my letter has put a simple tutorial down for anyone who wants to try one out, like me ^^. Love the cotton lining. Just makes it a tad more professional, don't you agree? P.s. For those of you who prefer the ready made stuff, these are some pretty wire baskets to consider buying. 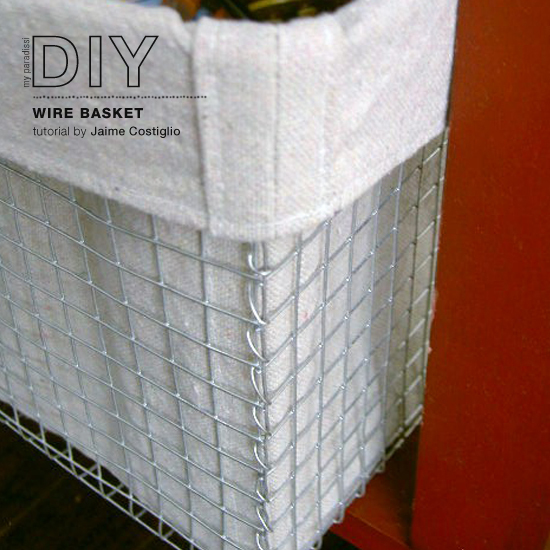 3 comments on "DIY: Wire basket"
They actually look really easy to make! Although they would look strange in our house, i still love the idea and the fact that something like that can be made at home! You can let me know if you want a follow back after attending the giveaway!